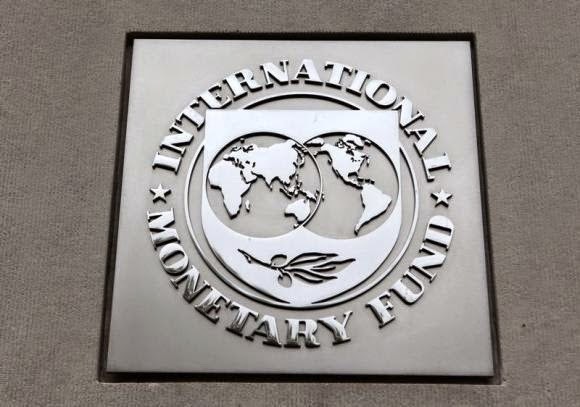 KIEV, Ukraine -- An International Monetary Fund mission will visit Kiev from Dec. 9 to 18 for talks with the new government regarding a $17 billion bailout program, the IMF's Ukraine representative Jerome Vacher said on Saturday. 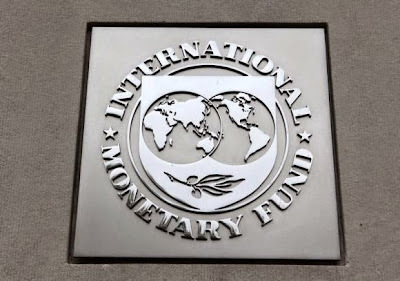 The International Monetary Fund (IMF) logo is seen at the IMF headquarters building during the 2013 Spring Meeting of the International Monetary Fund and World Bank in Washington. The IMF program was agreed in April to shore up the ex-Soviet state's foreign currency reserves and support the economy, which was blighted by years of corruption and economic mismanagement and is now struggling with the extra costs of fighting a separatist rebellion in its eastern territories. Kiev had expected that the next loan tranche, worth $2.7 billion, would come before the end of the year, but the IMF waited for a new government to be formed to hold talks on the payment. "An International Monetary Fund (IMF) mission led by Nikolay Gueorguiev will be working in Kiev during December 9-18 ... the mission will begin policy discussions with the Ukrainian authorities in the context of the Fund-supported economic reform program," Vacher said in a statement. Parliament elected a new government on Tuesday that includes three non-Ukrainian technocrats - seen as a bid by Kiev to prove its commitment to reforming an economy strangled by red tape and corruption. New Finance Minister Natalia Yaresko, who held various economic positions in the U.S. State Department before moving to work in Ukraine over 20 years ago, said on Wednesday the government wanted to meet the Fund as a matter of urgency. In September the Fund warned that if Ukraine's conflict with the separatists runs into next year, the country may need as much as $19 billion in extra aid. Clashes in east Ukraine, where Russian-backed separatist rebels are fighting Kiev government troops, have continued despite the signing of a ceasefire three months ago, and the death toll has risen to more than 4,300 since mid-April. Ukraine has so far received two tranches under the IMF program, worth a total of $4.6 billion, but the country's foreign currency reserves are at a ten-year low due to gas debt repayments to Russia and efforts to support the struggling hryvnia currency.